Wan Chai – prepare for a fully-fledged zombie invasion! 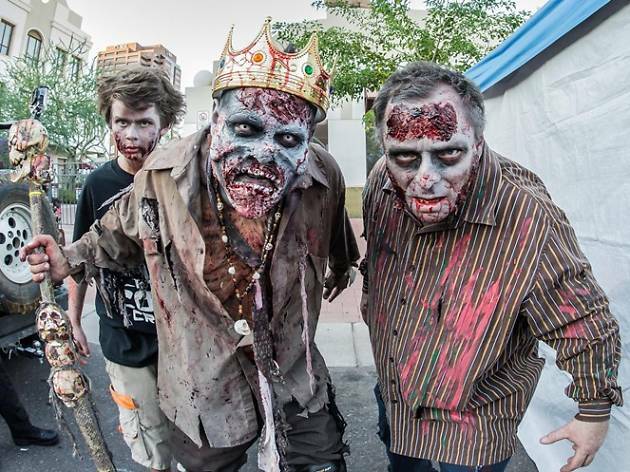 This Halloween, some of the most prominent venues in the hood are joining forces to host the first ever Charity Zombie Walk. 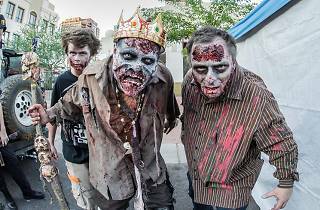 Starting from the Hopewell Centre's Open Piazza, get your zombie on as you march your way through the dining and entertinment hubs of Lee Tung Avenue and The East, following the path dotted with game and gift giveaway booths as checkpoints. Find your way to brand new live gig venue 1563 at The East afterwards for what promises to be a much less frightening programme of live performances, featuring locals acts Yeung Tung, The Anello, Opium and Shumking Mansion. Tickets are $150, with all proceeds going to Foodlink Foundation. Better still, that price includes four free drinks, two each along the zombie walk and two more at 1563.